Negative dominance and loss aversion as posited by Dr. Paul Rozin says that we do FAR more to avoid pain and suffering than we will do to experience joy and pleasure. It’s a basic function of our brain really – to keep you safe from harm and danger. How do you override this basic nature? DECIDE! Is it really that simple? Simply, yes it is if you believe that’s true. If you don’t believe that it’s true then your brain will find data to back up your belief and therefore you’re right about that statement not being true! But, if you DECIDE that you want to believe something else, guess what? Your brain will find supporting evidence to support that new belief. It’s called the “reticular activator” in your brain. Basically it means that whatever you’re focusing on will show up somehow. 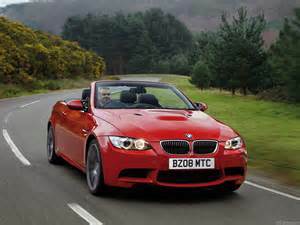 A simple example is to remember the last time you bought a new car – for example, that new, red BMW! Something magical happened if you can remember it. Suddenly you saw a lot of red BMW’s just like or very similar to yours. Did all those people just run out and buy their’s at the same time? No. They were there all along, but your FOCUS changed because of your ownership (read – belief!) of a new red BMW. How bad do you want to do something different? Decide today you’re willing to change your beliefs and your focus. The choice is yours. Don’t be a hostage any longer to your past and your limiting beliefs! *This blog post is dedicated to Patrick, Rikke, Gregor, Azza, Paul, Alain, Mirco….HPL December 2013!